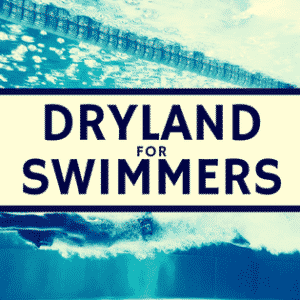 Blog Building The Perfect Swim Streamline Plus 7 Must Do Things! 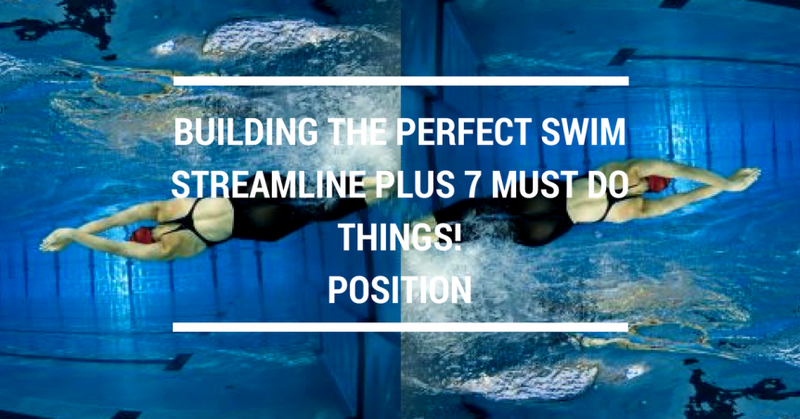 Building The Perfect Swim Streamline Plus 7 Must Do Things! The swim streamline is a simple, yet often overlooked part of swimming at all levels. With the youngest swimmers, a good streamline is a foundation for teaching more advanced skills in body position and proprioception in the water. As the swimmer advances, the streamline becomes a critical fundamental factor competitively. Many swimmers and coaches skip the first and most important fundamental step. 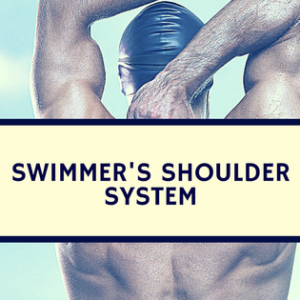 Can the swimmer’s body actually get into a streamline position? During training and racing, we often view the swim streamline as a matter of mental commitment (which it is). However, the swimmer’s physical capabilities are also important concerns. Some key areas to assess mobility are the shoulders, neck, wrists, spine, and ankles. Certainly, it is a full body endeavor! 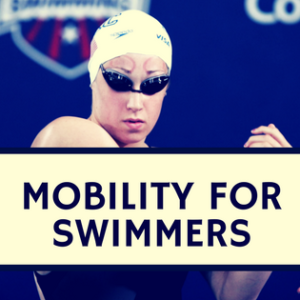 Mobility is a less common problem with younger swimmers. Core strength, however, can be a limiting factor. We’ll often see this with swimmers who can put their hands and arms in proper alignment but can’t maintain neutrality in their midsection. You’ll observe that they often arch their backs. Biceps squeezing the ears (or behind the ears, as some coaches are now teaching) versus behind the ears is a topic unto itself. We won’t go too deep in it but you can read a longer discussion about that HERE. The main point, regardless of your preference, is there should be no space between your biceps and your head to achieve the perfect swim streamline. Trunk neutral. No rounding or excess arching. Some arching in the low back is acceptable as the spine does have a natural curvature. The arch should not increase beyond the swimmer’s normal resting posture. A simple list, right? Now that you have a good streamline, let’s talk about applying it in the water. The issue of streamlines is closely related to turns and kicking. We’ll keep the focus on the actual streamline position in this post. A good swim streamline is not only the position itself. It is also the body awareness to maintain the streamline in a different medium (water instead of land). Maintenance of the streamline should be passive, meaning you shouldn’t have to kick or otherwise contort your body to stay streamlined. At full speed, the streamline and the first kicks off the wall blend together. For the sake of teaching a swim streamline, however, the swimmer should have the ability to maintain a streamline passively (as depicted in the video below). There are several ways to practice streamlines. The best strategy for streamline practice will depend on context. Less experienced swimmers may need dedicated practice time for it, while more advanced swimmers can isolate the skill during short sprint sets. Fortunately, once swimmers achieve a proper streamline, they simply need to maintain it. Let’s address some issues that may interfere with having a good streamline (assuming one has the physical capability to execute it properly). The reality is that circle swimming often requires a different path than swimming in a straight line and the streamline typically suffers. Obviously, circle swimming is a reality for the majority of teams, but just know that it is an obstacle toward achieving the best streamlines possible. Overtraining – Persistent fatigue can lead to poor streamlines on many fronts. If swimmers are struggling, they may be compelled to use the turns for a short break by letting their form deteriorate. Mental fatigue as a companion to physical fatigue also plays a role if the swimmer becomes apathetic and lets all elements of their technique (not only streamlines) deteriorate. Culture – Finally, committing to a good streamline can depend on building a culture where a team values technical quality. For instance, a coaching staff can’t possibly enforce perfect streamlines for every swimmer in every lap when there are dozens training in the pool. A team can create a positive environment where everyone expects good streamlines. When swimmers look around and see their teammates doing proper streamlines, it can influence the entire team to maintain that standard. If the pool is filled with bad streamlines, however, it’s easy for the subconscious to convince a swimmer that streamlines aren’t very important to their team. Although we speak of a “proper” streamline, ultimately “proper” is meant in relation to the individual. Certain checkpoints are essential, but others have some room for variation. We even see some elites exhibit streamlines that might be considered flawed but are highly effective. Focus on the fundamentals and then you can experiment with variation once the fundamental base is sound. Allan Phillips, CSCS is a performance coach based in Tucson, Arizona and is the owner of Pike Athletics. As a USA Triathlon Level I Coach and ASCA Level II Coach, he has worked with athletes from beginner to elite. Along with his coaching, Allan is a doctor of physical therapy student at South College. Wonderful tips. It is so important to create a culture of good habits amongst the teammates. Starting with the fundamentals.